for fall. Taking my fancy earring self and signing off for the weekend! The best "Canadian tuxedo" I've seen in a long time! You always rock the denim on denim. And these earrings are super fun. I wish I liked dangly earrings, but I think I'm a stud girl for life! LOVE this look, and I've had my eye on those earrings for a while now.. they look perfect on you! 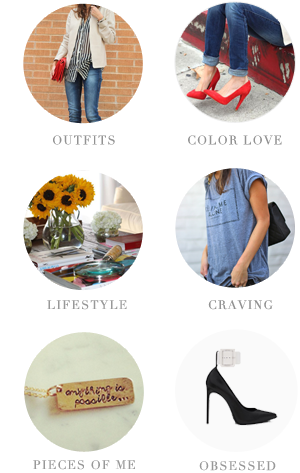 ** Giveaway on the blog! 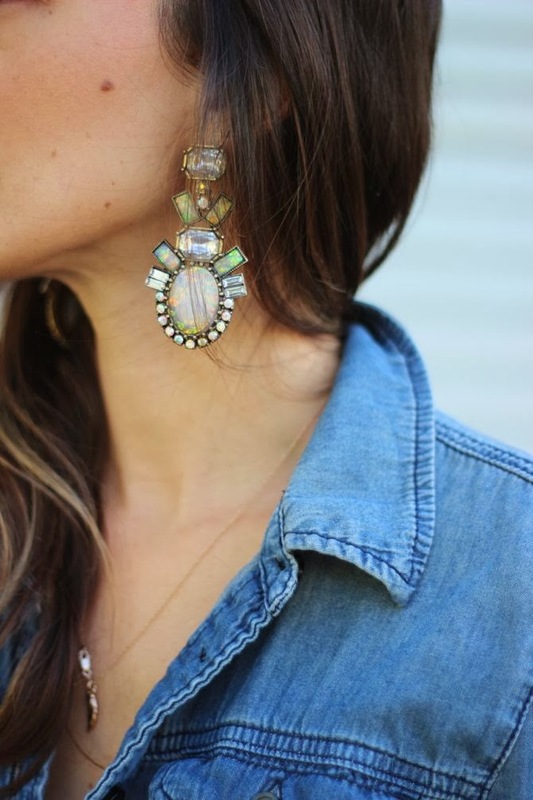 nobody rocks denim on denim quite as well as you... and I LOVE these earrings! Killer look! Those heels & earrings are the perfect finishing touch! I love the simplicity of this outfit, topped with the sparkly statement earrings! It looks so classic. I was wondering about those earrings and after seeing them on you...I'm in love! Love this look! Nice earrings!